This football-themed invitation is great for fans of the sport and players alike! 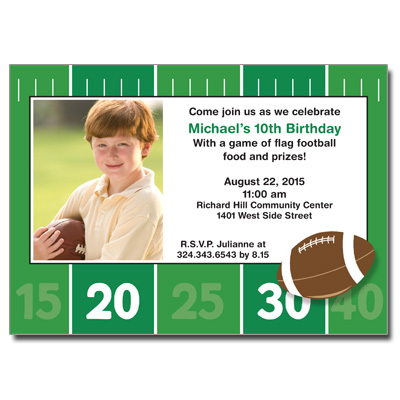 A border designed like a football field frames party details and a picture of your own. Card measures 7x5.